Edison Sailing Center offers NASBLA-approved Safe Boater education programs that comply with the law ( “In order to operate a motorboat of 10hp or greater, FL law requires anyone born on or after Jan 1, 1988, to successfully complete an approved boating safety course and obtain a Boating Safety Education ID Card.”). Edison teaches both the US Powerboat Safe Powerboat Handling course and the Florida Bobber Card course, How to Boat Smart, both of which include up to 8 hours on the water in various types of outboard boats. We teach youth ages 10 -17 and adults ages 18+. Most youth courses are offered during one or more of Edison’s summer programs or through an organization’s request for training, e.g. a private or parochial school, scouting programs, etc. Youth boater education is comprised of Florida’s (FWC) How to Boat Smart boater education course. This is referred to as the Bobber Card course ( logo above). While this course teaches the content knowledge, it does not provide for any on-the-water skills development. The US Coast Guard and NASBLA have identified 30+ specific boat handling skills that all beginning boat operators must be able to demonstrate. Edison teaches these on-the-water skills as part of its safe boater education training and requires satisfactory demonstration of the skills. 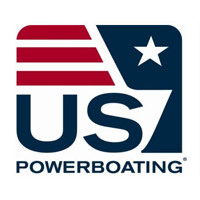 We recommend the US Powerboating course for youth ages 13-17. This 16 hour program may also be taken during the summer or arranged through a school or organization. This course goes more in depth with boater education and complies with both Florida law and national (NASBLA) regulations. Those who complete an approved boater education course hold a Lifetime safe boater card (there is no expiration date at this time). For those who fall under the boater education law (born on or after 1/1/88), we offer the US Powerboating course, Safe Powerboat Handling. This is a combination class time and water time program that meets the NASBLA requirements and with satisfactory completion results in the NASBLA Boater Education license. For those who have been operating a powerboat for some time, consider themselves fairly proficient, but still fall under the boater education law, we can offer a “challenge” course that allows the candidate to take the written exam for the Safe Powerboat Handling course, without class time + the on-the-water time. Successful completion (passing score of 80%+ on written) and demonstration of the OTW standards will result in a NASBLA license and official registration with US Powerboat . For those who have some experience but just want a little more confidence in their boat handling, we can offer a “water time” only program that targets the basic safety and operating maneuvers but does not result in a boater’s license. Adult courses are scheduled both individually as well as in small groups. Course cost will depend on the format and option chosen. ESC also offers boater education courses through our adult instructor, Capt. Jason Dunwody. Please click on the link to his website www.Florida Boating Made Easy.com for more information. If you already have a Bobber Card or other Boater Education Identification Card…..
ESC offers the critical follow-up to online or seat-time only Boater Education courses, On The Water. While it is important to understand and follow the navigational markers and know basic boating content, until you have had experience on the water, practicing and safely executing all of the identified basic boat handling skills, you are missing an opportunity to apply that knowledge, safely and confidently. On-the-Water Instruction for those who have successfully passed an online or seat time Safe Boater Education course can be arranged by contacting us at 239-454-5114 or at FloridaBoatingMadeEasy.com. Your safety – and the safety of everyone on board – is priceless. Do you know how to safely execute an emergency stop? How are your docking skills? Can you execute a proper man overboard pick-up? Understand the importance of the kill switch and where it should be attached?